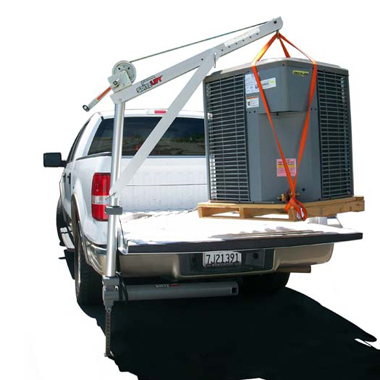 Any vehicle with a receiver hitch is SpitzLift ready. The Van/SUV Receiver Hitch Kit fits any 2” receiver hitch and does not require any modification or installation to the vehicle. 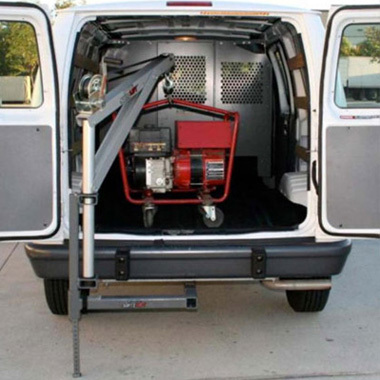 The Van/SUV Receiver Hitch Kit is offset by 34” to clear the tailgate and can be used on the left or right side of the vehicle. The lift and the mount can conveniently be folded and stowed away in a SpitzLift carrying case when not in use. Every SpitzLift is load tested, comes with a safe-working load test certification, and meets ASME / OSHA standards. This application is easily managed by one person.